There is an old wise saying that says “In the beginner’s mind there are many possibilities; in the expert’s there are few”. And so it was in the first few decades of the car industry that makers such as Rolls Royce were free of the modern “branding” and “brand profiling” of the marketing “experts” and they were free to experiment and create pretty much whatever they could persuade someone to buy. The Australian definition of an “expert” says “X is an unknown quantity, and a Spurt is a drip under pressure”. Nowadays it would seem that the “unknown quantities” who are “under pressure” to make their profit “number” no longer have room for imagination or experimentation. The world has become a bit of a sadder place as a result. 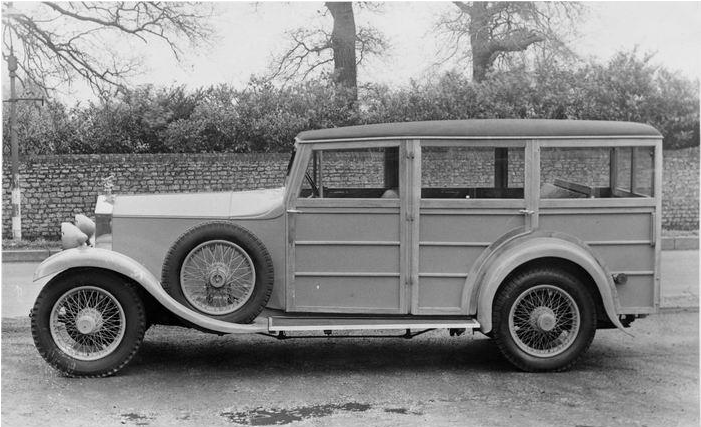 So it is no surprise to find a Rolls Royce “Woodie” from the roaring twenties whereas nowadays one would be hard pressed to find such a thing in the current Rolls Royce product range. This is odd really. 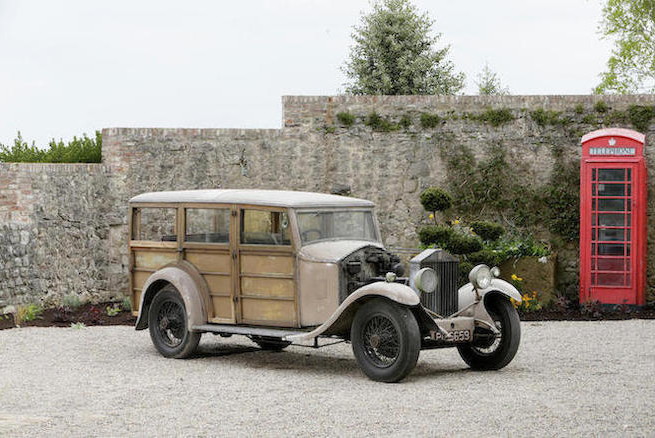 Just consider as an example, Queen Elizabeth II worked as a motor mechanic during World War II, and a Rolls Royce “Woodie” could be a perfect little runabout for cruising around Balmoral. The car we are featuring in this post looks to be a Rolls Royce enthusiasts dream. It is unusual and just oozes the sort of character that no modern commodity car could ever attain to no matter what brand badge you affix to it. 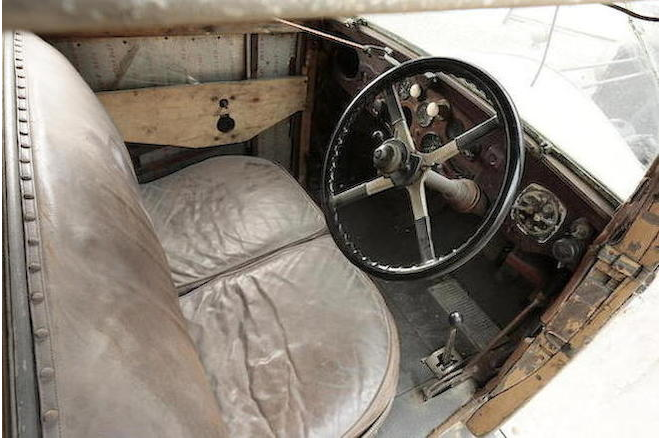 This one is a blending of gorgeous wood with Rolls Royce quality and promises to be a source of deep enjoyment for those of us who love getting our hands dirty, who love the problem solving creativity of a restoration project such as this one. 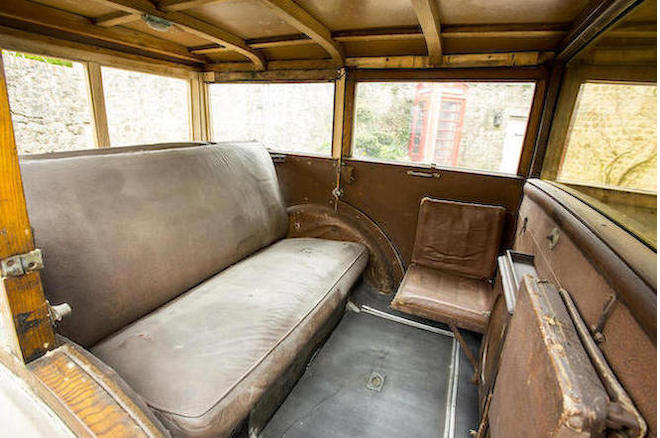 Added to the sheer joy of restoring this delightful “Roller” though is that this car has a connection with history. 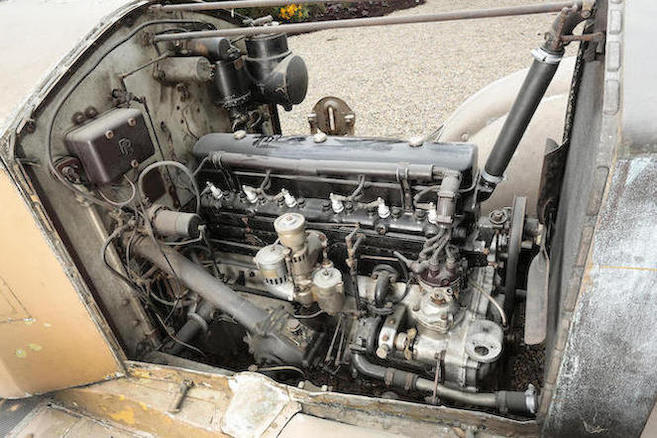 It wasn’t actually owned by a member of the British Royal Family, but it was owned by the father of a man who qualifies to be counted in the ranks of motor racing “royalty”. You see this car belonged to Stirling Moss’s father, and it was the car used to tow Stirling’s racing car to his first ever motor race. The tow bar is still on the car. 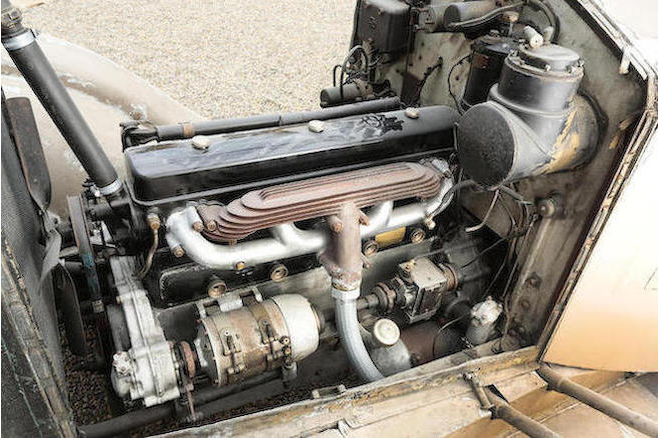 So this is not only an example of Rolls Royce’s imaginative days: It is also a historically significant part of Britain’s motor racing legacy. 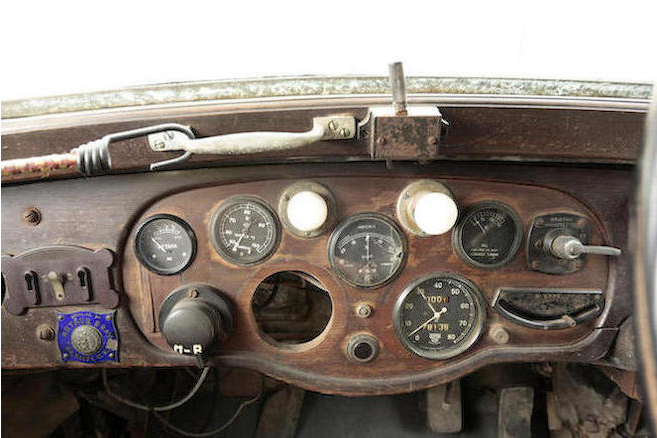 This historic car is also quite affordable. Can you imagine arriving at your first race meeting in this Rolls Royce fully restored, with your competition car towed behind? That would be “making an entrance”. You’ll find the auction page for this car if you click here. The auction is scheduled for 20th June.